I can usually tell if I will like a city within five minutes of arriving. With Bogotá, it only took three. Part of this instant knowing was my hired driver, Marta, who greeted me warmly at the airport and got me safely on my way to the hotel. But it was also the street art and the liveliness and the looming mountains that easily won me over. Below are some of my favorite photos and experiences from the trip. They're recommendations for a visit to the city, yes, but I encourage anyone visiting Bogotá to wander and find their own magic. This city is full of it. You won't have to look hard for street art...it's everywhere. Politically charged and socially conscious. Beautiful and encouraging. Americanized and thought-provoking. It's varied and worth stopping every few feet for. Only thirty minutes outside of the city, Chicaque National Park is a stunning cloud-covered forest. We hiked from the entrance to the lookout point ("La Playa", about an hour) and then onwards to El Refugio (another hour or so), which gave us a great overview of the park. El Refugio is a mountain hostel built entirely of wood, with accommodations for travelers and a restaurant with an incredible balcony viewpoint, plus delicious traditional Colombian food. If you decide to explore the park, be sure to wear something other than jeans (oops)...not pleasant for the ever-changing jungle climate. Also, we hired a car back up to the top, but you can also go by horse! Monserrate is the mountain that dominates Bogotá's city center. 10,341 feet above sea-level, reachable by funicular, cable car, or climbing, this gorgeous pilgrim destination is well worth a visit. The quick rise in elevation (we opted for the $4 roundtrip cable car ride) had me breathing shallow and feeling a little light-headed. Locals advise you to drink coca tea at the top to help ease the altitude sickness; plenty of the shops have it. After wandering and taking photos of the Monserrate church and mountain-top scenery, My friend Vanessa and I enjoyed coffee at the lower restaurant, "Casa Santa Clara", and then indulged in truly one of the best meals I've ever had at the upper restaurant, "Casa San Isirdo". You can see all of downtown Bogotá, south Bogotá and some sections of the north of the city from the top. Located in La Candelaria neighborhood, the historic center of Bogotá, the Botero museum was one of my favorite parts of the trip. Colombian artist Fernando Botero donated 208 art pieces, 123 of his own and 85 of other intnerational artists (Picasso included! ), to the Bank of the Republic in 2000. The museum is free(!) to the public, with a gorgeous outdoor courtyard, cafe and restaurant ("La Manzana"), and, of course, a collection of incredible artwork. I can only imagine how much more I would have fallen for Lisbon if I had more than three days to spend there. I was immediately drawn in by the tiles and bright colors, the friendly people and thoughtful packaging of every item I purchased, the innovative food and commitment to quality, the winding streets and Fado music. While it's emboldening and often deeply satisfying to travel to places that do not easily or quickly win you over, there is something electrifying about arriving to a destination you instantly love. Lisbon jolted me with energy immediately—from the metro to the markets and the day trips to the hilly landscape, every inch of this place encouraged wandering and photographs, leisure and little indulgences. Espresso, pastel de nata with a sprinkle of cinnamon, and a ham and cheese croissant. Portuguese cheese is some of the best I've ever tasted. The Initiation Well, Quinta da Regaleira. Sintra, Portugal. Rua Nova Do Carvalho. 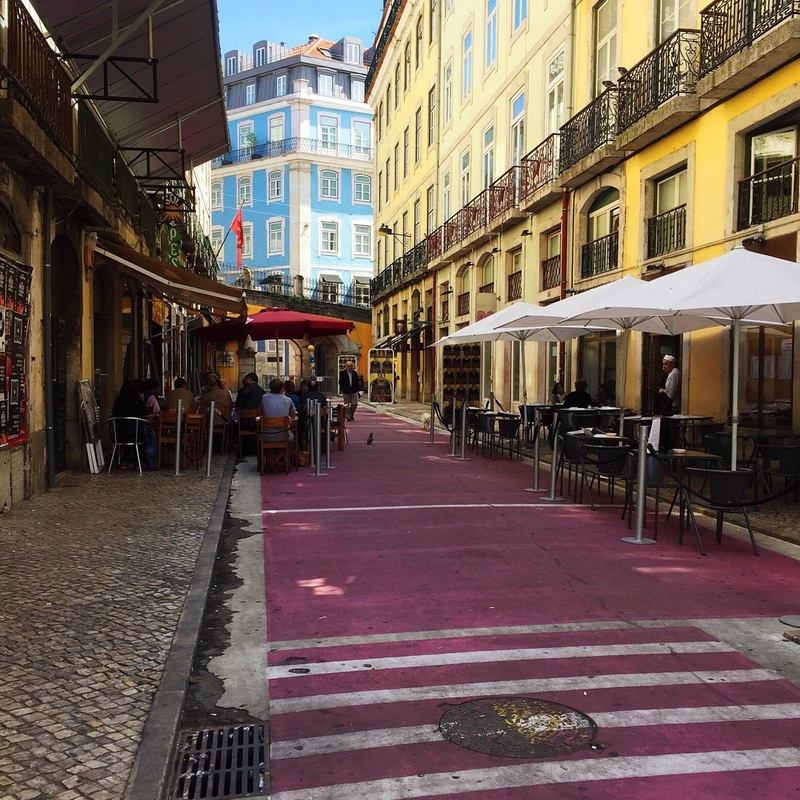 Locals smiled when I tried to ask "Where is 'The Pink Street'" in Portuguese. Locals smiled pretty much all of the time, really. A few of my purchased goodies, many from A Vida Portuguesa. They carefully (and beautifully) wrapped all of my items I bought to give to loved ones. 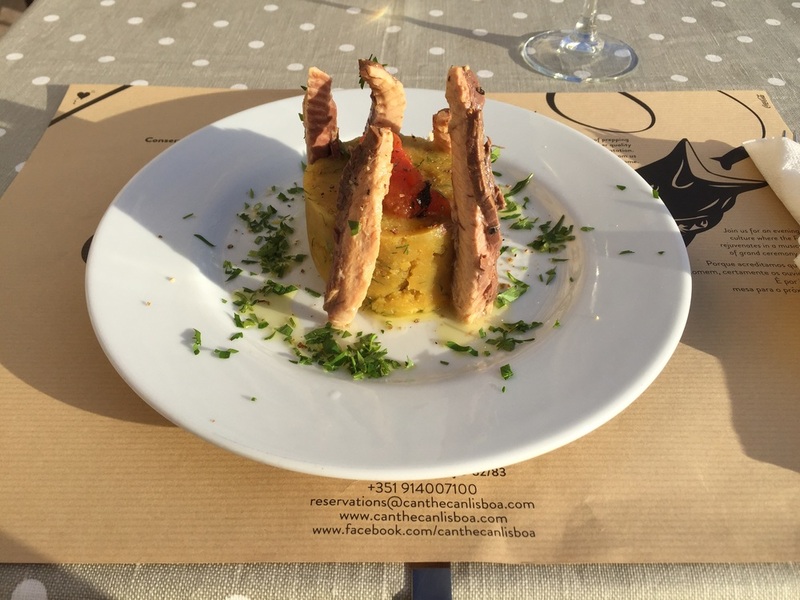 A fresh spin on canned mackerel at Can the Can Lisbon. Livraria Ler Devagar, LX Factory. The sun rises differently here. Slower, up over the mountains. That was the first sleepy thought I had on the Saturday morning car ride from Seattle to Snoqualmie Falls. As 6:30 stretched into 7, there were still only deep blue outlines of discernible mountains around me. A new acquaintance had informed me that there was "Nothing in town", but this turned out to be the kind of mistruth only city-dwellers, who rarely leave the invisible lines of "their" metropolis, speak. Snoqualmie had everything. Steve's donuts (try the glaze), SnoValley Coffee (the Cuban Latte was the perfect mixture of sweet and espresso), and a stretch of other shops. My ultimate destination was Snoqualmie Falls, but I was happy to wait out the early parts of sunrise in town. The descent down to the river and lower viewing deck is more of a nature trail than a true hike. The old trees and signs marking plants and animals guide the way and, with a 250-foot descent over 0.4 miles, this is an easy trail for most. You have two choices at the bottom and I recommend doing both: walk the boardwalk or go down to the riverbed. As a quick Google image search will tell you, it is possible to go past the end of the boardwalk and closer to the falls. From what I could see, it involves carefully hopping part of the fence and climbing some rocks down. I couldn't quite work up the courage to do so this visit. Maybe next time.